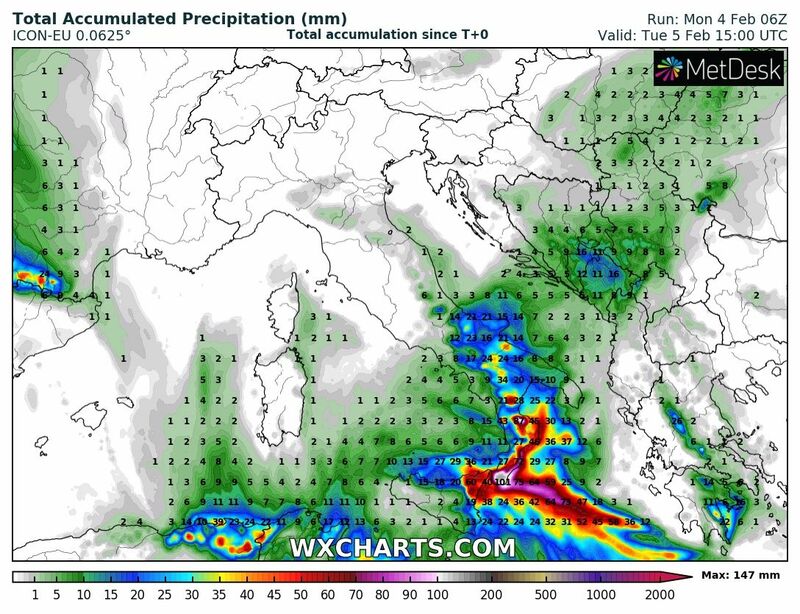 The south of Italy is in for a period of persistent, excessive rainfall through late on Tuesday. 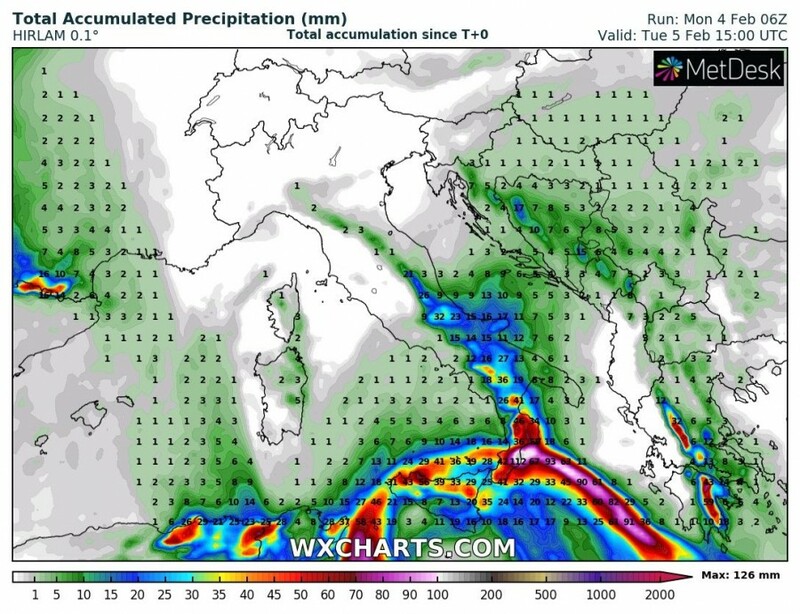 Models indicate cumulatives locally well in excess of 100 m in Calabria and on Sicily. 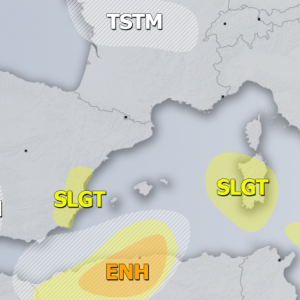 A cutoff low is located in the southern Mediterranean, centered between Malta, Tunisia and Libya. 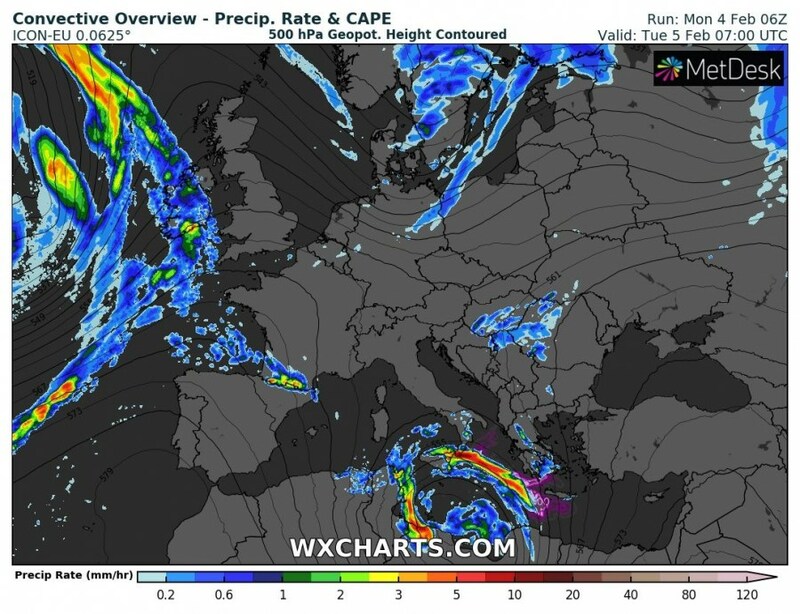 Training thunderstorms will develop along a virtually stationary frontal boundary across central Mediterranean, stretching from Crete island into southern Italy. 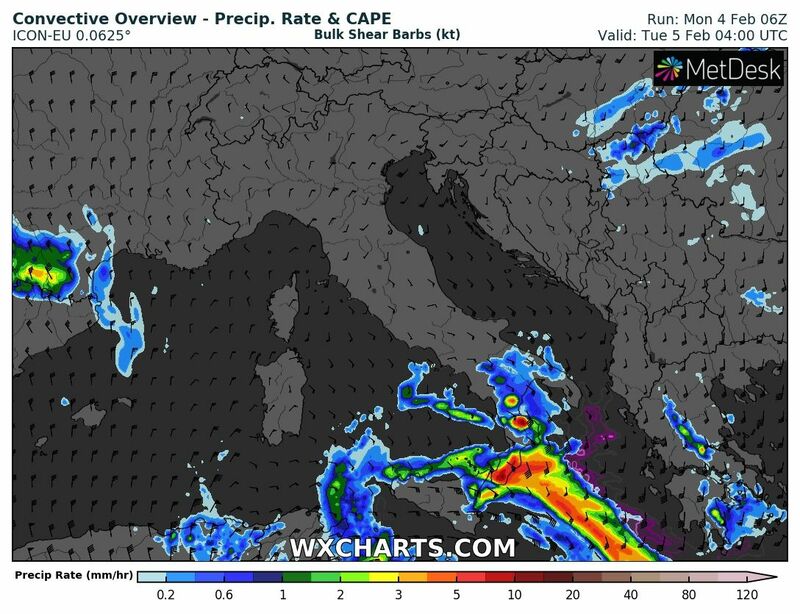 Training storms will bring persistent convective rainfall along the near-stationary frontal boundary into southern Calabria and Sicily. Rainfall will further be enhanced by orographic effects along the mountainous terrain of both regions. Expect up to 100-150 mm of rainfall, locally possibly up to 200 mm. Flood threat is significantly elevated, expect locally intense floods. Rainfall totals across the region by early Tuesday afternoon. ICON-EU, ARPEGE and HIRLAM model guidance. 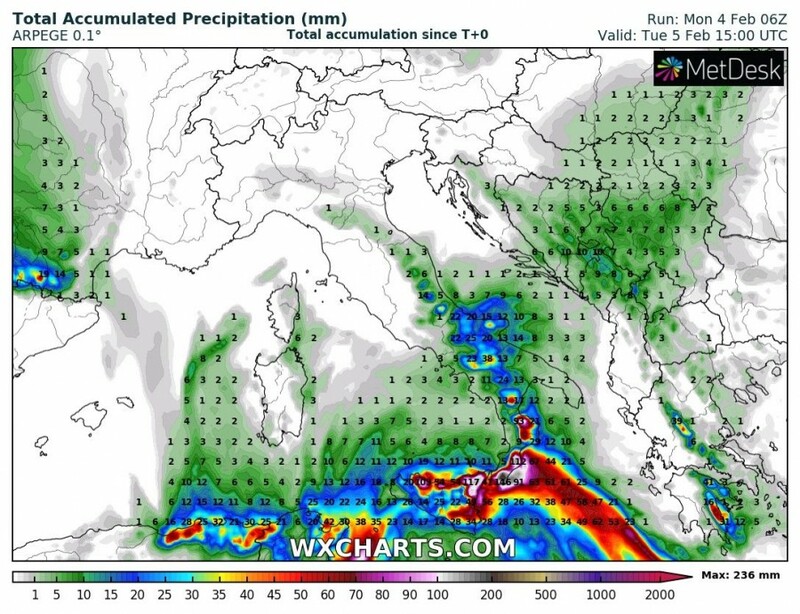 Map: Wxcharts.eu.